At the end of January, I received a Facebook message from a friend that heard there may be a potential job opening at Churchill Downs in the Media/Communications Department. She told me that I should contact Darren Rogers, who is the Senior Director of Communications & Media Services at Churchill Downs. I immediately sent Mr. Rogers an e-mail with some information about myself and to inform him that I would be very interested in any job openings in his department. He informed me that there may be a job opening soon, but that currently there were no available positions. I assumed that I had struck out. Over the next several months, I spent a large majority of my time trying to find a job. 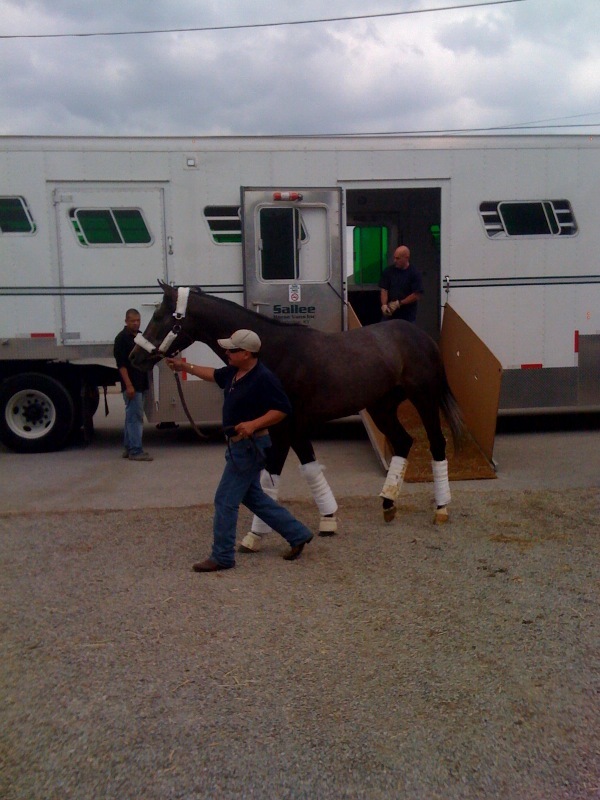 I e-mailed a dozen Thoroughbred farms in Lexington, applied for positions at various racetracks around the country, and searched daily for “horse jobs” on websites like Monster.com. I didn’t have any luck. My job search continued into the month of March and frustration was beginning to set in. I can recall lying in my bed on the night of March 8th and thinking, “I graduate in two months and have no idea what I’m going to do.” Needless to say, I didn’t get very much sleep that night. In fact, I wasn’t sleeping very much on any night. A few days later it was suggested to me that I should try to meet with Mr. Ted Bassett to get some guidance. Julie Balog, the Keeneland Director of Communications, my former boss, and dear friend, was able to set up a meeting with me and Mr. Bassett. I met him at the cottage on Keeneland’s property and I can remember trying to steady my hand enough to turn the handle and open the door. If I knew how the conversation was going to go then I never would have been so nervous. Mr. Bassett is a wonderful person; a true gentleman. We talked for hours, but the one thing that I took away from our meeting was that I needed to market myself better. I needed to begin telling possible employers what I would bring to their company that they don’t already have and also what sets me apart from other people applying for the job. Before leaving his office, he gave me a short “pep talk” of sorts. The last thing he said to me was, “Travers, you have found something that you are passionate about. If you want to be in this business, then nothing is going to hold you back as long as you don’t give up. Promise me you won’t quit.” I promised him, we shook hands, and I was out the door. The next day I had a meeting with Keith Kleine of the American Association of Equine Practitioners. The graduate advisor of my fraternity works for the AAEP and recommended that I speak with Mr. Kleine for some additional guidance. 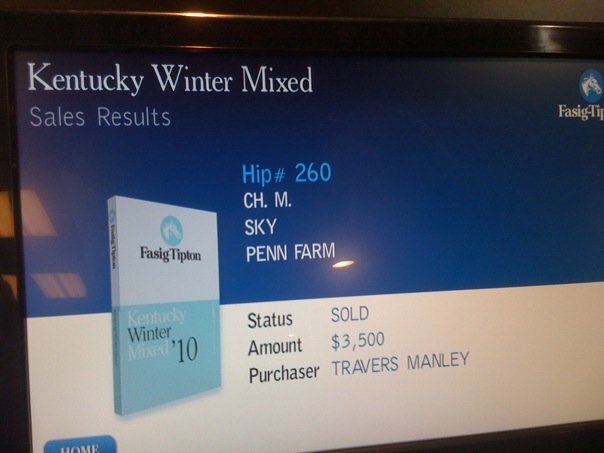 I had a great talk with Mr. Kleine and found out that he knew Darren Rogers from Churchill Downs. I told Mr. Kleine that there were no openings at Churchill Downs, but he encouraged me to contact Mr. Rogers again to see if the situation had changed and if there were any positions available. After meeting with Mr. Kleine, I got really busy with school and it seemed like I had a test or paper due every day. 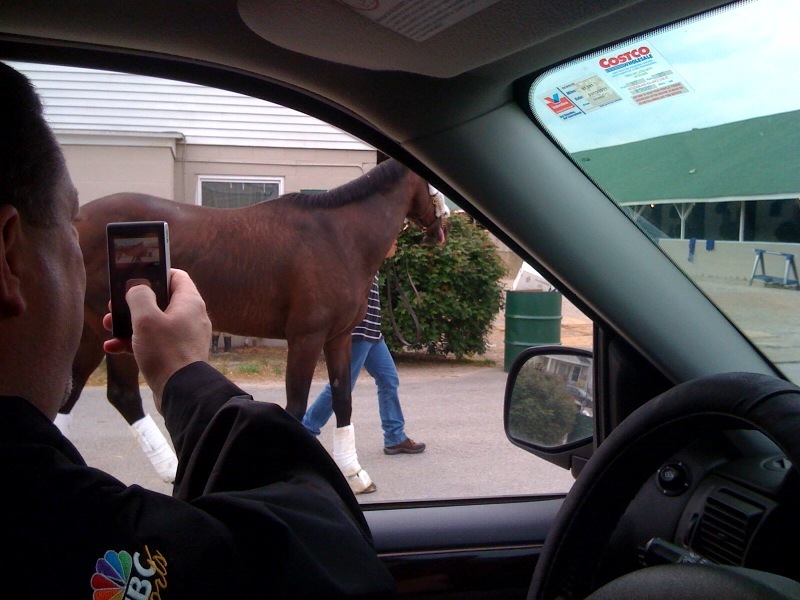 Eventually, things calmed down and I had the time to send Mr. Rogers an e-mail to check in on the situation at Churchill Downs. He responded to my e-mail rather quickly and asked if I could meet with him. We worked out a date and time and I went to meet with him on April 3rd. We talked for a couple of hours about all sorts of things. I talked a lot about myself, obviously, but we also talked a lot about horse racing in general. It was a good discussion and, before I left his office, Mr. Rogers informed me that a position in the Media/Communications Department was available. He told me that he would speak with John Asher, Vice President of Racing Communications, and then contact me in a few days about whether or not I would be invited back for a second interview. About a week and a half later, I received an e-mail from Mr. Rogers asking if I could come meet with him and Mr. Asher on April 17th. Of course, I said that I could meet with them. I traveled back to Churchill Downs and my meeting with Mr. Asher and Mr. Rogers was very similar to my meeting with Mr. Rogers a couple of weeks earlier. Basically, I talked a lot about myself: how I got interested in horse racing, my educational background, work history, etc. We also talked about some Kentucky Derby history and the Triple Crown trail. During the meeting last Sunday, Mr. Rogers casually mentioned that he would like to hire me. Unfortunately, before any specifics could be discussed, he had a personal matter to attend to and our meeting was cut short. I had a dentist appointment scheduled in Louisville on Tuesday and so we arranged for our meeting to be continued on Tuesday afternoon after my appointment. 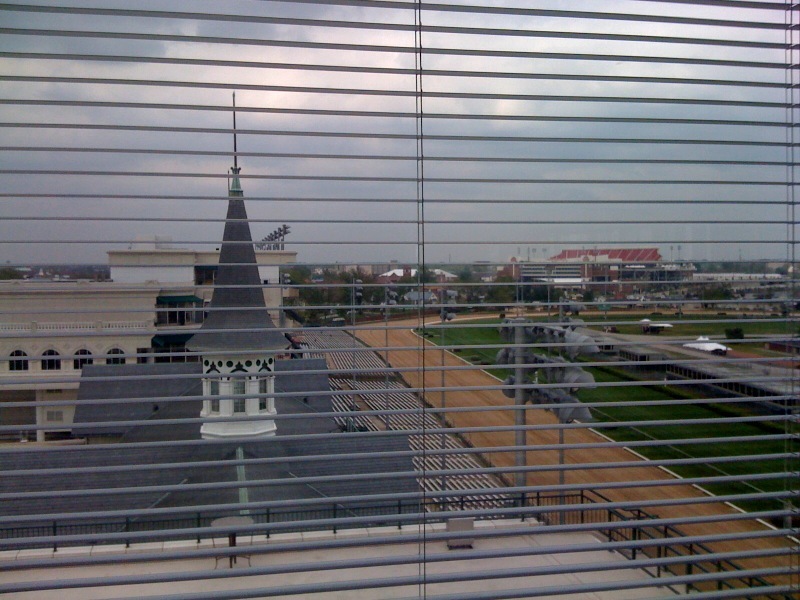 When I arrived at Mr. Rogers’ office, he was on his way out to the backstretch to watch the arrival of a couple of horses pointing towards the Kentucky Derby. He invited me to join him and said we could discuss the job specifics along the way. On our journey to the Churchill Downs’ backstretch, Mr. Rogers offered me a job as a Media Coordinator and Staff Writer. I would be working closely with him on Media and Communications’ matters, as well as doing a lot of writing of feature stories, stakes wrap-ups, and barn notes. I accepted the position! I graduate on May 8th and I am scheduled to work my first day on May 12th. I am so excited to have a job when I graduate and relieved that the job search is over. I am thrilled to begin this next chapter of my life and look forward to being a member of the Churchill Downs team. A very special thank you to all that helped me during my job search; especially, my family, Julie Balog and the rest of the Keeneland team, Dr. Bob Coleman, Dr. Mary Rossano, Meg Levy, Keith Kleine, Ted Bassett, and Alicia Wincze Hughes. I also want to thank God for continuing to bless me so much. He has blessed me with a great opportunity and I am so thankful. I wouldn’t be where I am today without His love and guidance. To conclude today’s post, I have included a few pictures that I took on Tuesday. I hope you enjoy them and that everyone has a fantastic Easter weekend!